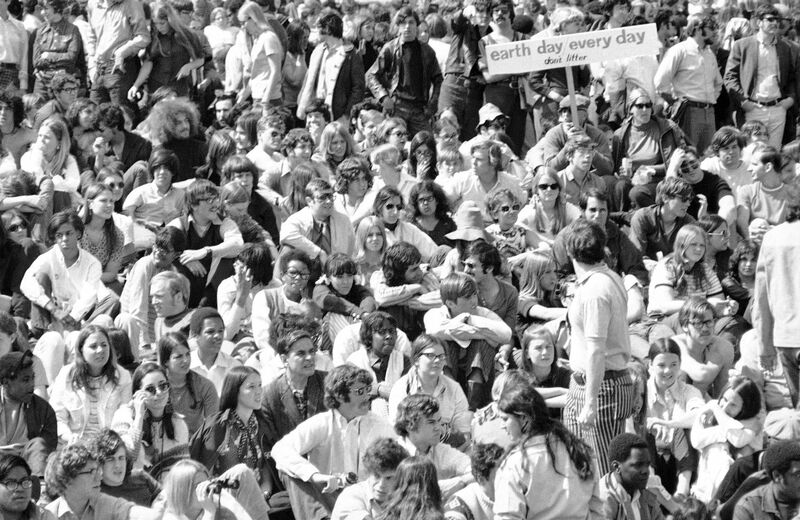 In 1970, Environmentalism Was Poised to ‘Bring Us All Together.’ What Happened? Today, the environment is a controversial issue divided along partisan lines—but it wasn't always that way. Since its founding in 1865, The Nation has been a home for writers instigating, reporting on and arguing about struggles for social and economic justice. We have held fast to our “Nation Ideals”— from racial justice to feminism, from a fair economy to civil liberties, from environmental sustainability to peace and disarmament—throughout our 150-year history. During our anniversary year, TheNation.com will highlight one Nation Ideal every month or two. We’ll celebrate by asking prominent contemporary Nation voices to read and respond to important pieces from our archive. Below, Zoë Carpenter reflects on two 1970 Nation articles on the emergence of the environmental movement. Learn more about our 150th anniversary events and special content here. Louisiana is not a place that usually inspires hope for the environment. Nearly a century of oil and gas activity has cut the state’s swamps and bayous into vanishing ribbons. Hundreds of millions of gallons of oil have been spilled into the Gulf of Mexico. Underground caverns hollowed out by petrochemical companies are collapsing and creating sinkholes, some swallowing entire communities. Industry has fouled state politics, too, such that elected leaders reward corporations with $1.8 billion a year in subsidies and tax breaks, while starving healthcare, education, and other public services. Marine was reporting from year zero of the modern environmental movement. Four months after his article appeared, twenty million Americans poured into the streets for the first Earth Day. Today, the 45th anniversary of the event, it’s hard to imagine a spontaneous green spirit sweeping the country, not to mention Congress taking a day off in support, or The Today Show giving 10 hours of airtime to it. Still, the existence of people like Schaff suggests that the potential for movement-building that Marine perceived is not gone, just unrealized. …medical students, law students, architecture students, a few biologists and zoologists, some nurses, some mathematicians, and at least one dentist.… They came with long hair and sloppy clothes, and with short hair and single-breasted three-piece suits and neckties. They were people who would never have spoken a word to one another in a million academic years. A few decades later, fear of extinction still animates the environmental movement—though carbon dioxide has taken plutonium’s place in the narrative. But the politics of the environment today looks more like entrenched warfare than reconciliation. None of the Republican candidates lining up for a presidential run will even acknowledge the implications of climate change, much less propose to do something about it. Mitch McConnell, the Senate majority leader, is actively pressing states to obstruct key parts of President Obama’s climate action plan. And despite his rhetorical commitment to slowing emissions and some real steps toward doing exactly that, Obama maintains his long-standing commitment to an “all of the above” energy strategy that is irreconcilable with the goal of limiting warming to 2 degrees Celsius. In the end it was what Coffey called the movement’s “manifest fervor” that carried the day. Within months of that first Earth Day, President Richard Nixon, a Republican, signed the Clean Air Act, and created the Environmental Protection Agency and the National Oceanic and Atmospheric Administration. By the time he resigned in 1974 he had signed the Clean Water Act, the Pesticide Control Act, the Endangered Species Act and the Safe Drinking Water Act. That these laws are still the basis of environmental policy-making in the United States is a testament to the success of the early green movement and an indication of how intractable the political system—and how powerful the industrial backlash—has gotten since. Marine and Coffey did not foresee the dismantling of campaign-finance laws and the flood of corporate money that now greases the American political system. (Indeed, the eruption of the Watergate scandal, which brought such issues to national attention, was still two years away.) Along with the rise of fact-optional right-wing media, that has had devastating implications for a movement that must “attack some mighty profit makers” (in Gene Marine’s phrase) in order to score legislative victories. Nor could they have realized how thoroughly the idea of investment in the collective good—which is what environmental action is, fundamentally—would lose political currency in the following decade. Now, however, it isn’t just the political system that is ill-equipped to deal with our most pressing ecological concerns. Most Americans still feel insulated from the slow violence of climate change, and therefore, as in 1970, care more about immediate crises. We still have trouble imagining that an economic system not dependent on endless consumption is possible, and therefore worth fighting for. The question is still essential, because the answer says a lot about how much we can expect to accomplish in the name of the environment. The institutionalization of environmentalism—in think tanks, advocacy groups, corporate PR campaigns—has in fact led to the co-optation of more radical voices that Coffey warned about at the dawn of the movement 45 years ago. It has also prompted a shift in the movement’s priorities, from mobilizing the public to deal-making inside the Beltway. Meanwhile anti-environmentalism in general, and climate denial specifically, has become a Republican litmus test, effectively barring half of America from considering the idea of joining the movement because it would seem to conflict with their partisan identity. But in other ways the environmental movement has expanded its horizons. Greens have grown better at articulating the ways in which the pernicious effects of pollution, extreme weather events, drought, and other forms of ecological destruction are distributed along lines of race and class. Activists are leveraging these points of intersection to build surprising coalitions for direct action oriented around the common principle of justice. It’s becoming clearer that climate action is not in conflict with a broader progressive agenda but instead, to use Naomi Klein’s phrase, can “be a catalyzing force for positive change…the best argument progressives have ever had” for rupturing oppressive economic and political systems. Check out our multimedia timeline on the history of the environmental movement here. And learn more about all our 150th events and special content here.